As a local firm with a national reach, we maintain our corporate office in Birmingham, AL, but we proudly have access to approximately 200 elite financial planning practices throughout the country. This map demonstrates the vast reach and as a result capability of our firm to deliver enhanced resources and benefits to our clientele. 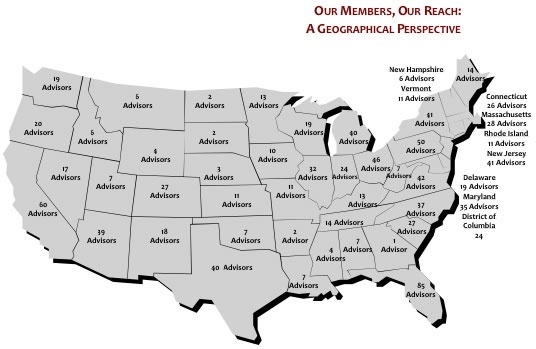 In fact, many of our advisor members are licensed to practice in multiple states, including their state of residence. This means, that even in states where we don't currently reside or are licensed, we can provide you with access to other Resource Group* members.